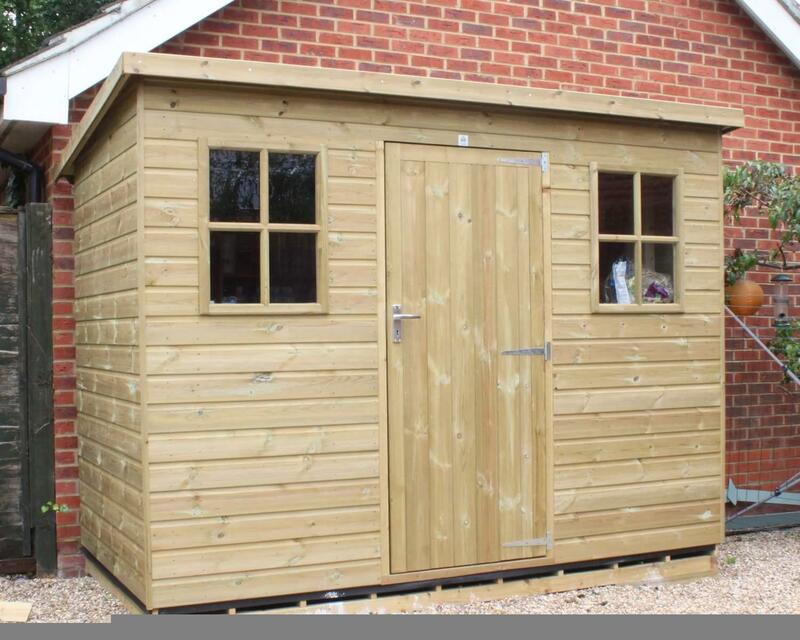 If you’re looking for an 8 by 10 shed, we at Ace Sheds offer a range of expertly crafted sheds. 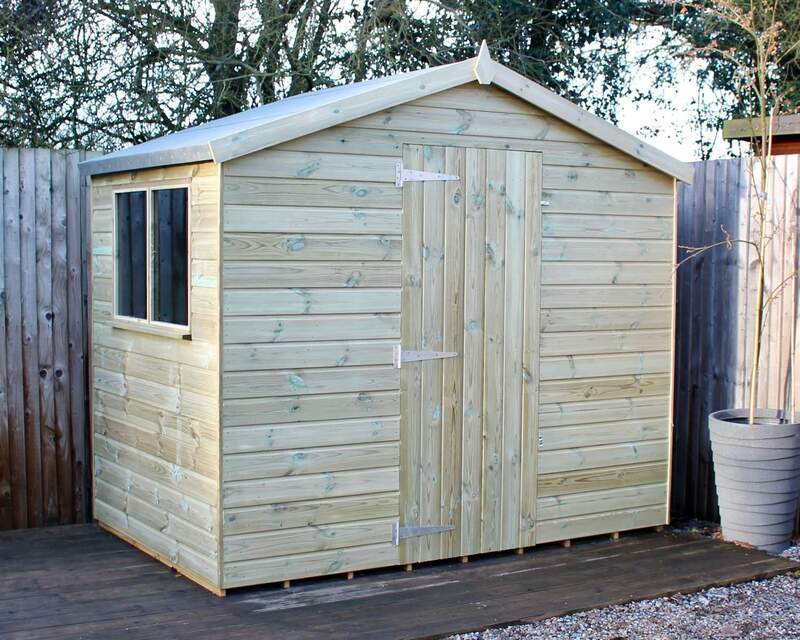 Each of our wooden sheds have been manufactured with high-quality timber focusing on attention to detail and craftsmanship. 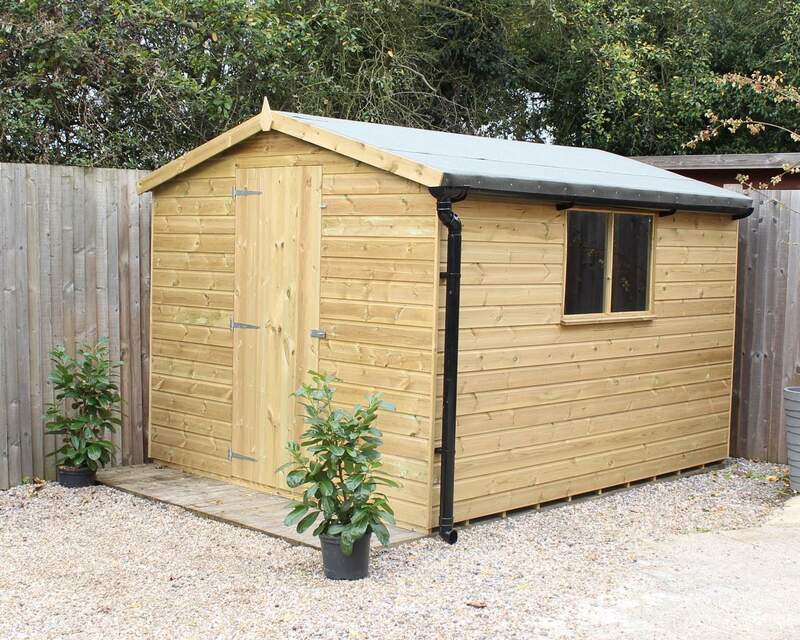 Our garden buildings are highly versatile and suitable for an array of purposes from a storage haven, a garden office, DIY workshop or relaxation area. 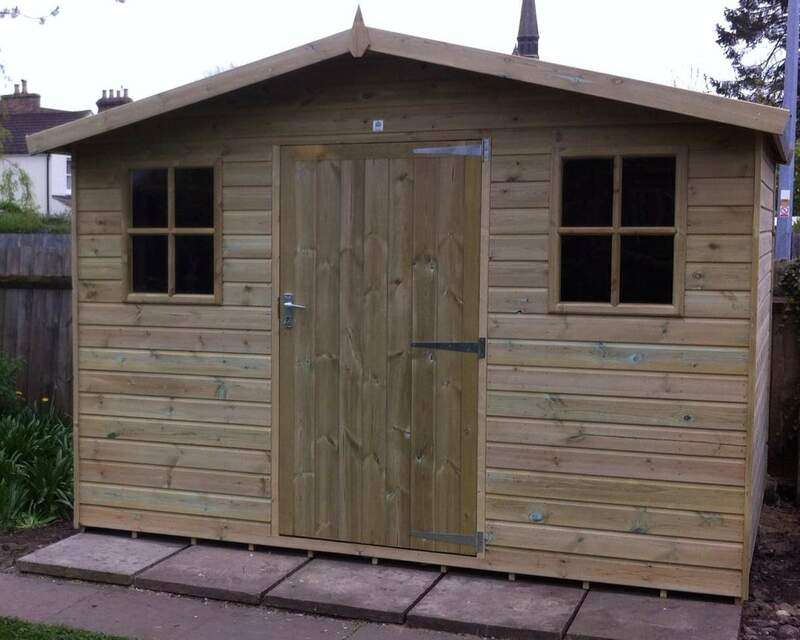 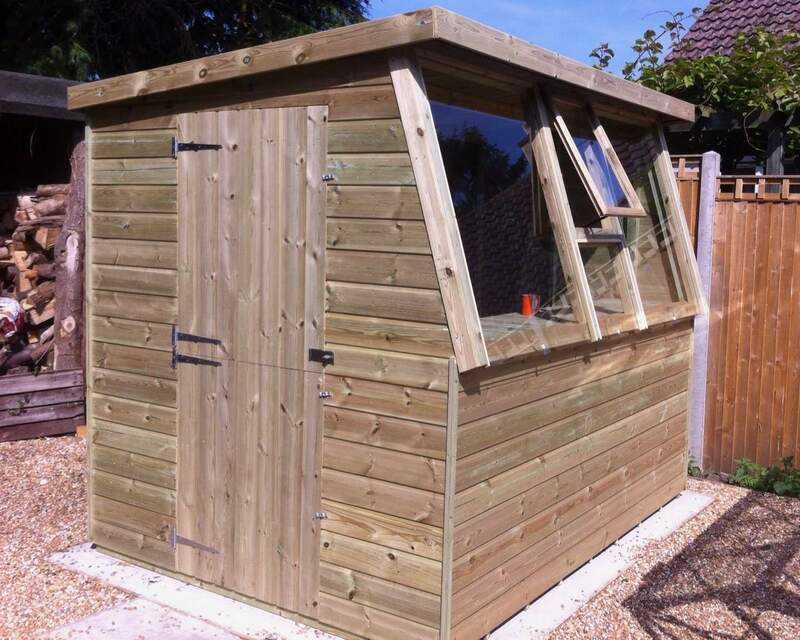 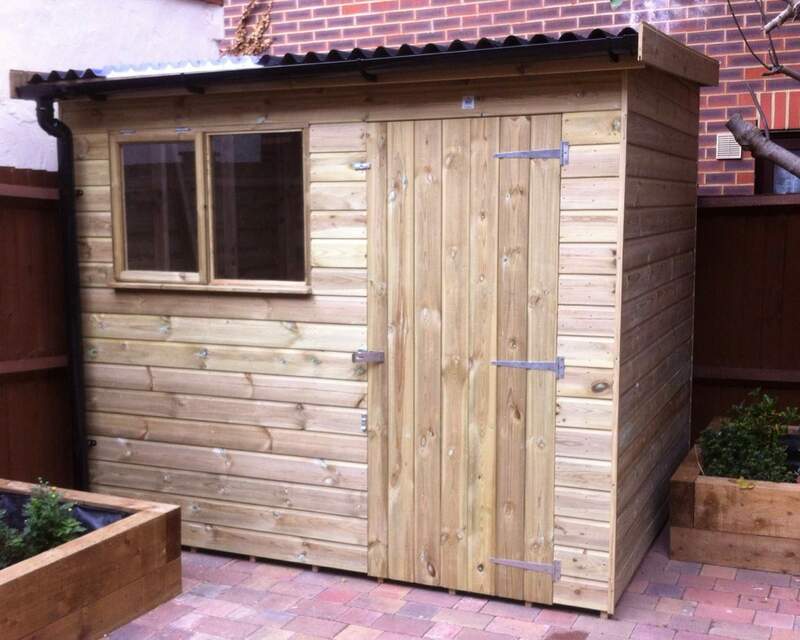 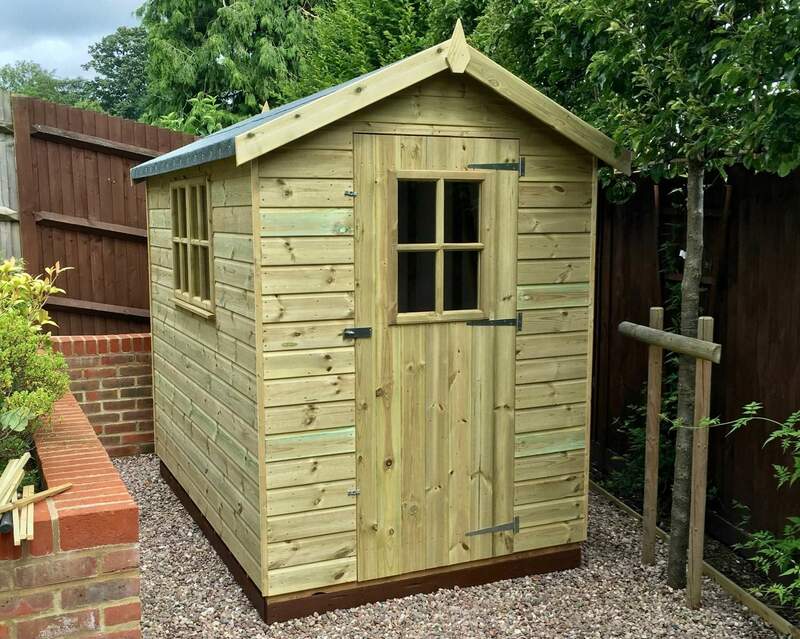 Explore our customer gallery to see how our garden sheds compliment their surroundings. 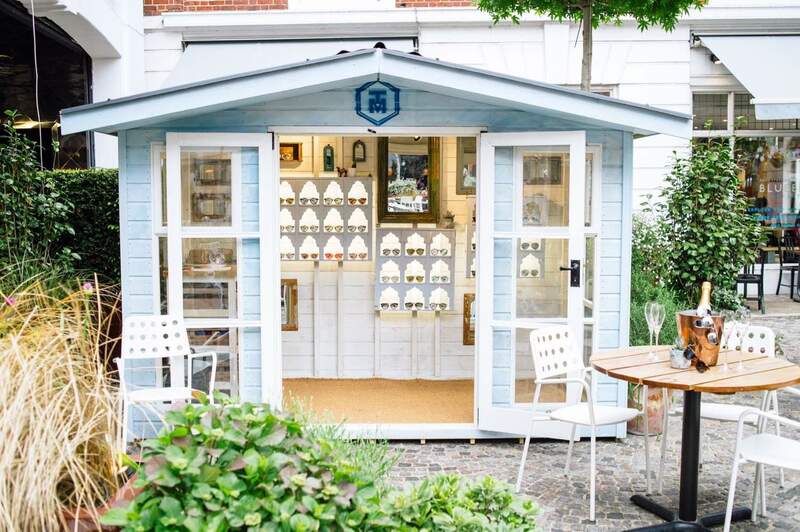 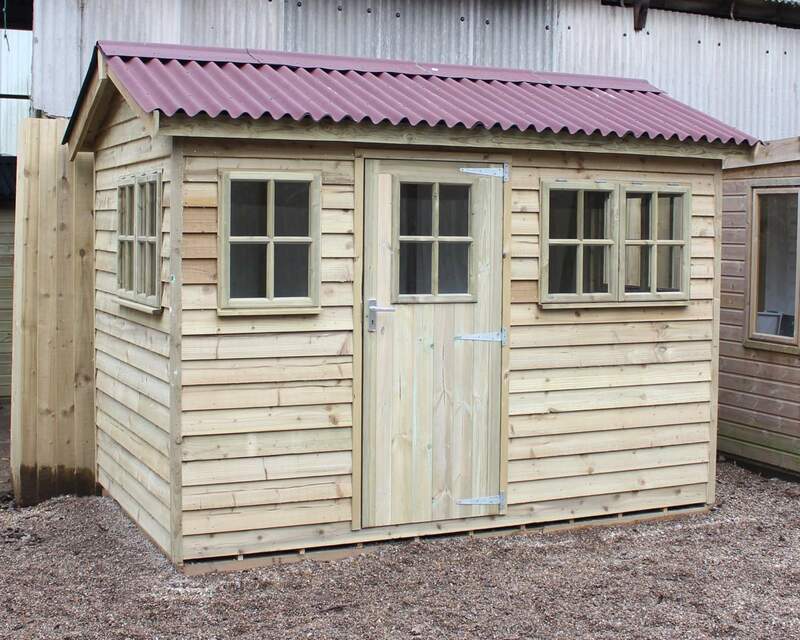 Whether you’re looking for a potting shed, workshop or garden shed, we have a range of sheds in a variety of shapes and sizes that are available in 8 by 10. 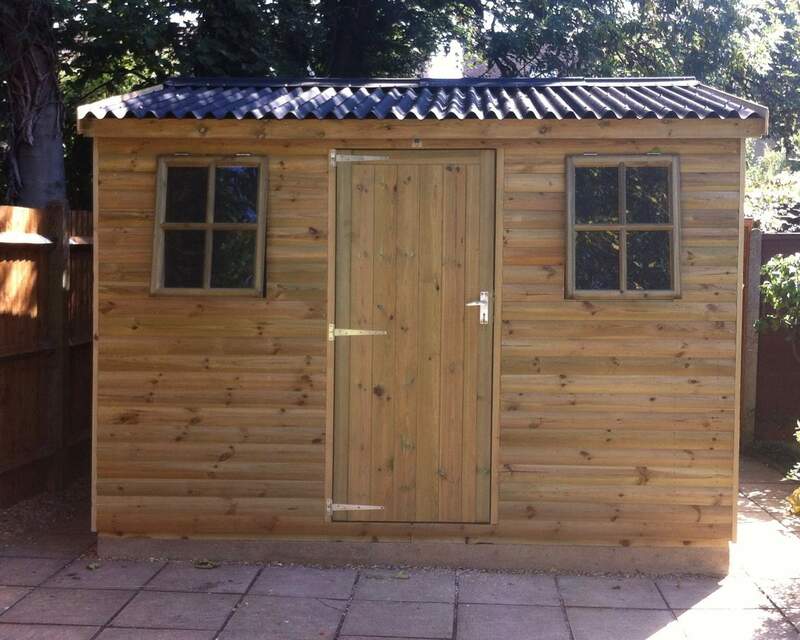 Our customisation service also allows customers to create a unique custom-made shed for them and their needs. 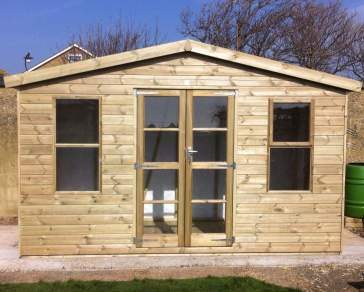 Our simple customisation service enables you to change a range of different elements from the doors and windows, to the cladding and felt type. 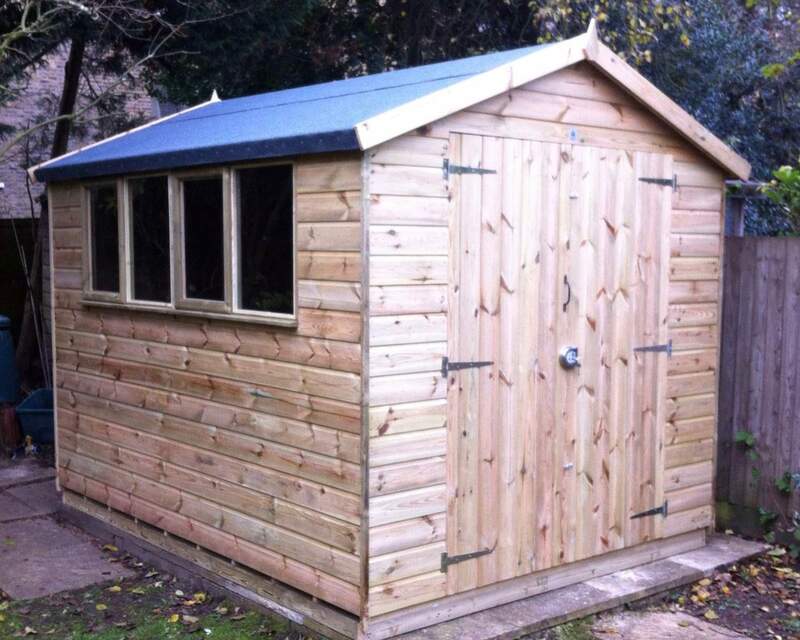 Our sheds have been 100% pressure treated during the manufacturing process. 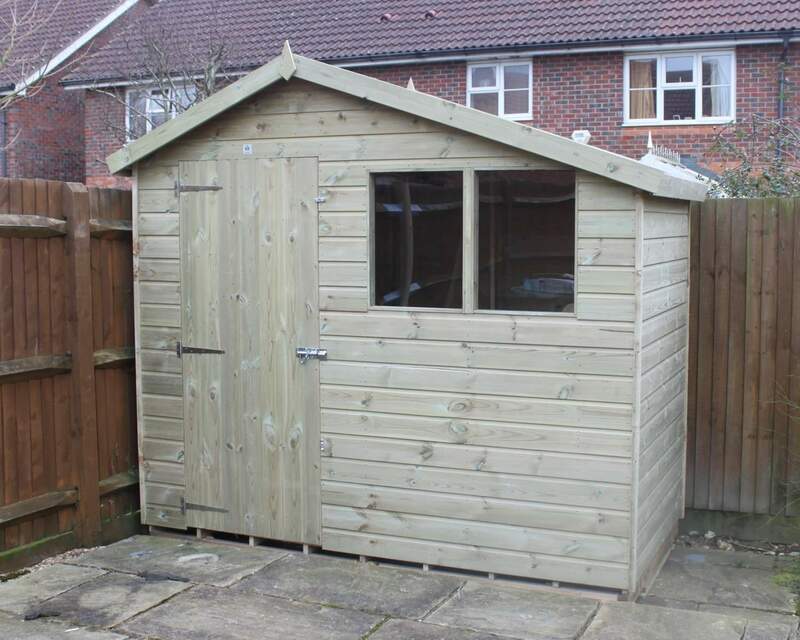 This means your wooden shed is protected from harsh weather conditions all year round to keep your shed looking great. 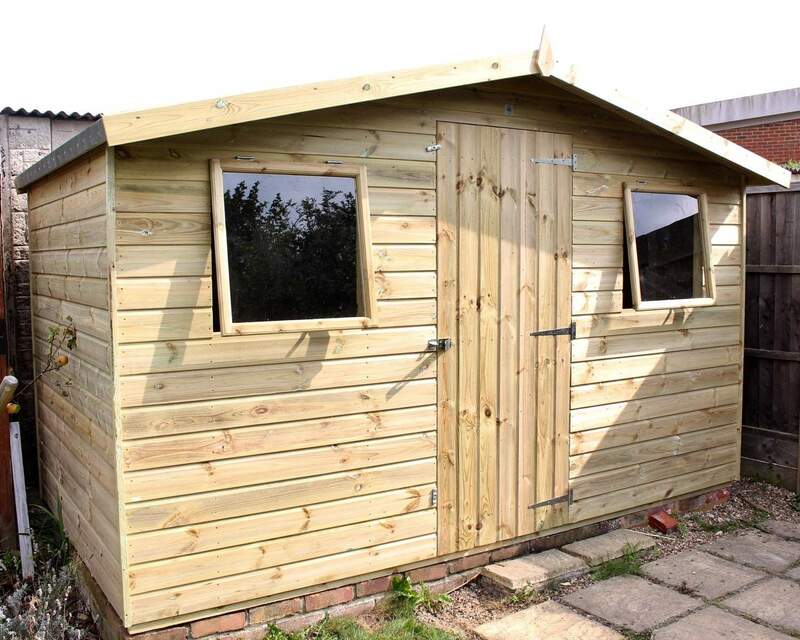 We also offer a tantalised pressure treatment, which is renowned for its durability, colour and quality, and to ensure the longevity of your garden shed. 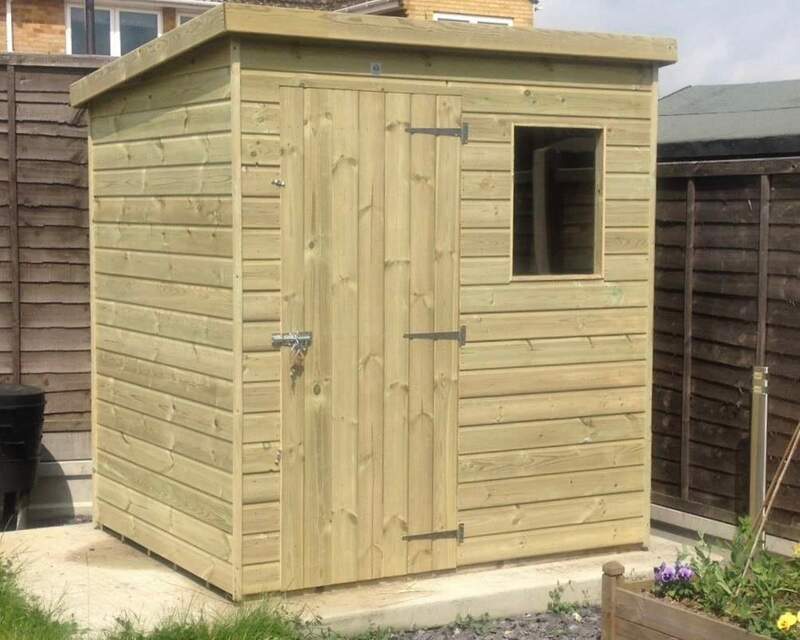 For more information on our range of services and products, contact us online with any enquiries or call us on 01233 822042. 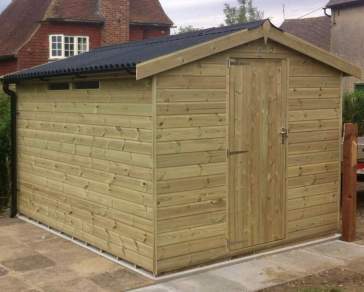 Other services include delivery, installation, cedar shingles, oduline roofing, living roofs, EPDM roofs and shed maintenance.